Get it, WINE-derlust? 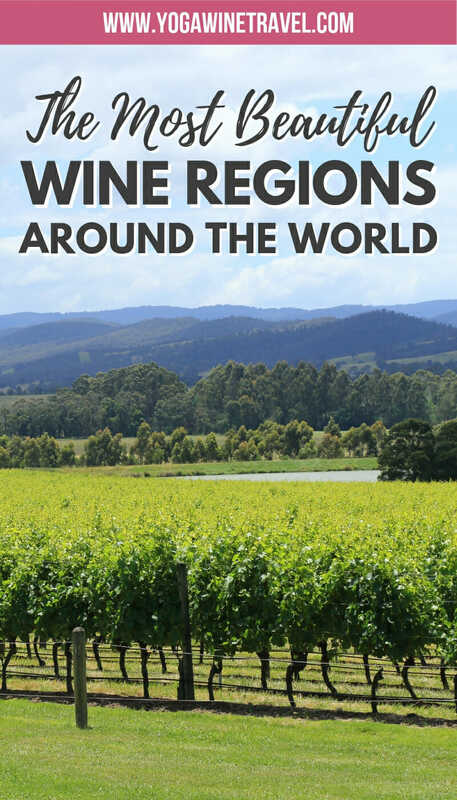 Keep reading for some of the top wine regions in the world to add to your list of places to visit! Love good wine? Love good food? Then you’ve come to the right place. If you’re planning your next trip abroad, here are nearly 20 of the best wine regions in the world recommended by travel bloggers. You’ve probably already heard of some of these famous wine regions, but I’m betting that a few of these will surprise you! The Margaret River region in Western Australia is located about 3 hours south of Perth and is world-renowned for its delectable wine and food. 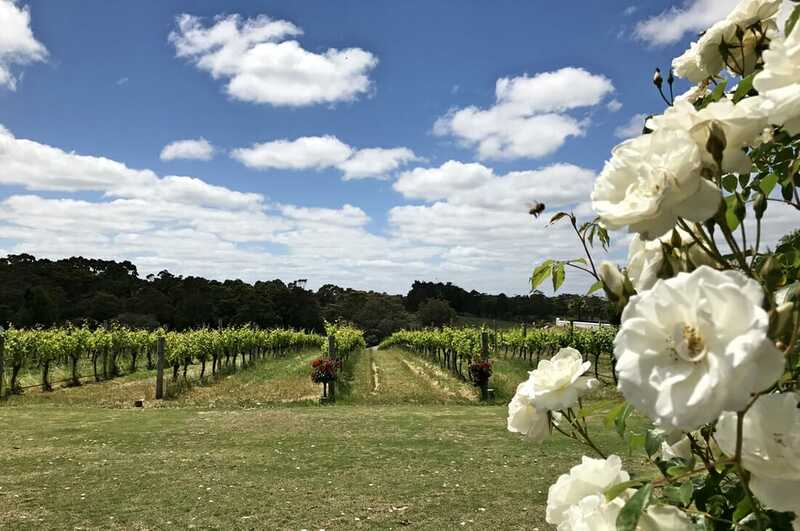 The Margaret River region is one of the best Australian wine regions and produces less than 3 per cent of the country’s wine, but accounts for more than a fifth of its premium wine. There are more than 120 wineries to explore and most of them will allow you to wander around to admire the beautiful grounds and taste their finest wine – make sure you try their award-winning Cabernet Sauvignon, Semillon Sauvignon Blanc and Chardonnay. Many also serve lunch and dinner so make sure you brace yourself for a day of gluttony! When there are so many vineyards to choose from, how do you narrow it down? 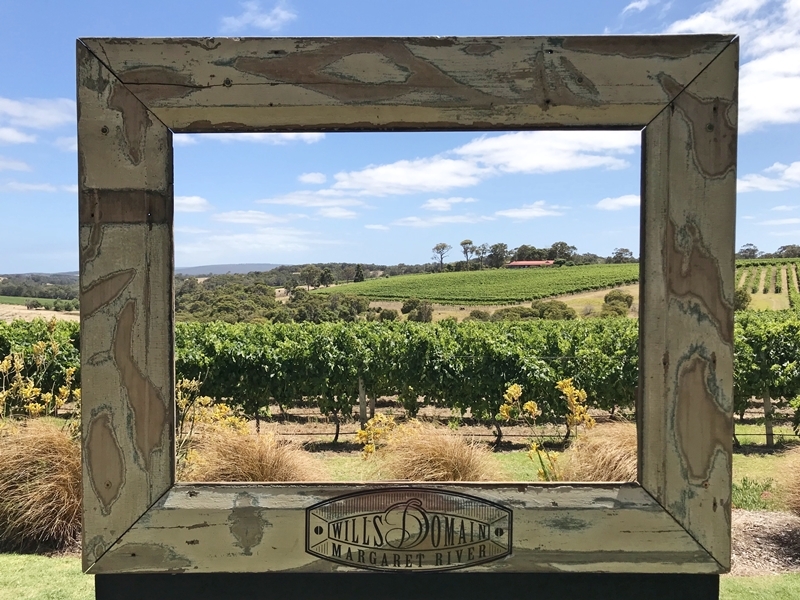 Here are some wineries that I truly loved, or you can read this article on the most beautiful places to visit in the Margaret River region. Not convinced? Read this article on why you have to add the Margaret River region to your bucket list! The best time to visit the Margaret River region is in the summer months (December to February) and shoulder season (November and March, early April) when the beaches are beautiful and the weather is warm; you should know, however, that this part of the world can get much busier around the Christmas holidays. I would recommend staying in Dunsborough, Margaret River, Gracetown, Yallingup, Eagle Bay or Bunker Bay. Click here to find highly rated accommodation in the Margaret River region! The Yarra Valley is located on the eastern side of Australia, and is also one of the top wine regions in Australia. It is most famous for producing award winning Chardonnay and Pinot Noir, and is home to approximately 150 different wineries. You can get there easily from Melbourne (it is only an hour away by car), and can choose from many different Yarra Valley wine tours – I recommend VineTrekker, a tour company that runs smaller-group and semi-private tastings where you can learn about the wine industry and the winemaking process as well as indulge in nearly 50 tastings from 5 of the best wineries in the Yarra Valley. 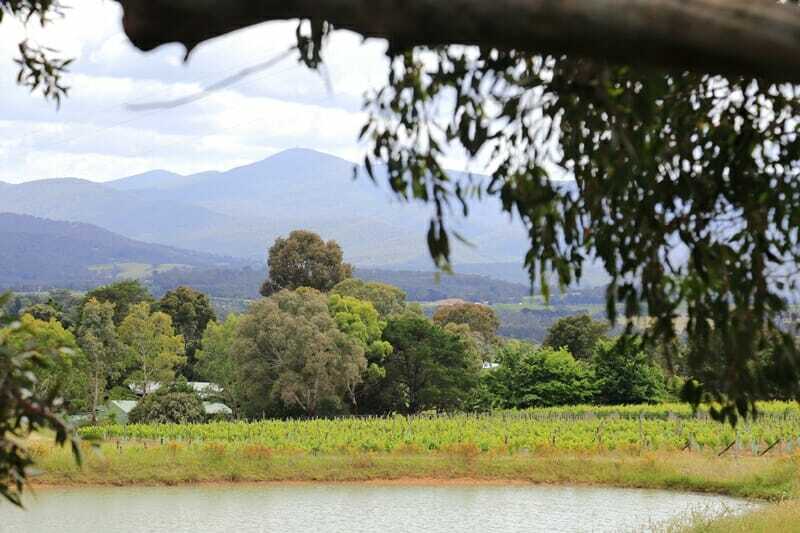 Read more about the best Yarra Valley winery tour here. 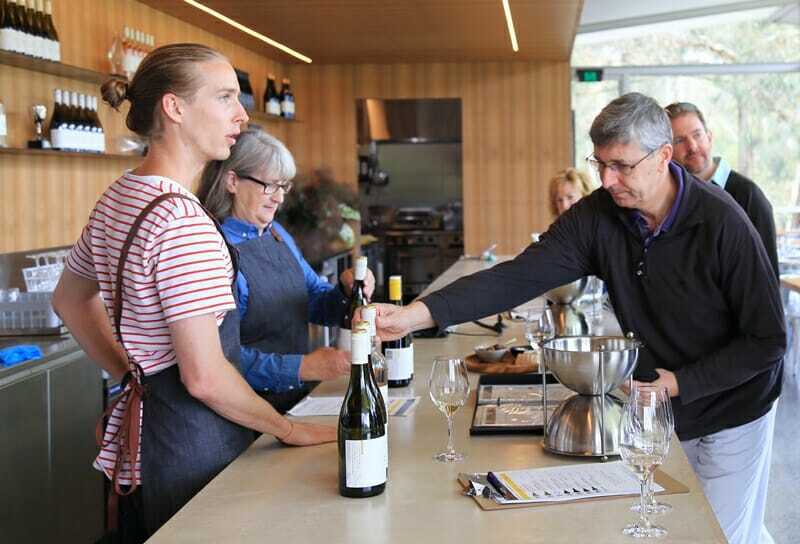 The best time to visit the Yarra Valley is in the summer months (December to February) and shoulder season (November and March, early April) – remember to bring warm clothes as the Yarra Valley is significantly cooler and the weather can be unpredictable. The Yarra Valley can be done as a day trip from Melbourne, or you can stay there overnight. Click here to find highly rated and centrally-located accommodation options in Melbourne, or here for the best places to stay in the Yarra Valley! The Marlborough region is one of the top New Zealand wine regions and produces around 77% of all New Zealand’s wine. The wine produced in Marlborough is known for its distinctive fruity characteristics and smooth aroma. Locals say there is a magical synergy of the climate and soil which makes the Marlborough wine so sought after. Beyond its natural beauty, the wine lands of Marlborough come with history too. In the past centuries Māori cultivated Kumara crops in the areas. It wasn’t until 1873 when a pioneering Scottish farmer and grape grower, David Herd, planted the first vineyard in Marlborough. There are dozens of wineries in the Marlborough region but for first time visitors, it’s best to take the Marlborough Wine Trail which takes travellers on a journey of discovery. One of our favourite wines from Marlborough is the Matua Sauvignon Blanc which tastes fresh and vibrant with concentrated blackcurrant leafs and a hint of nettle and green melon. We discovered it during our 7 days in New Zealand and have been ordering it online ever since. Click here to check out highly rated accommodation options in Marlborough! 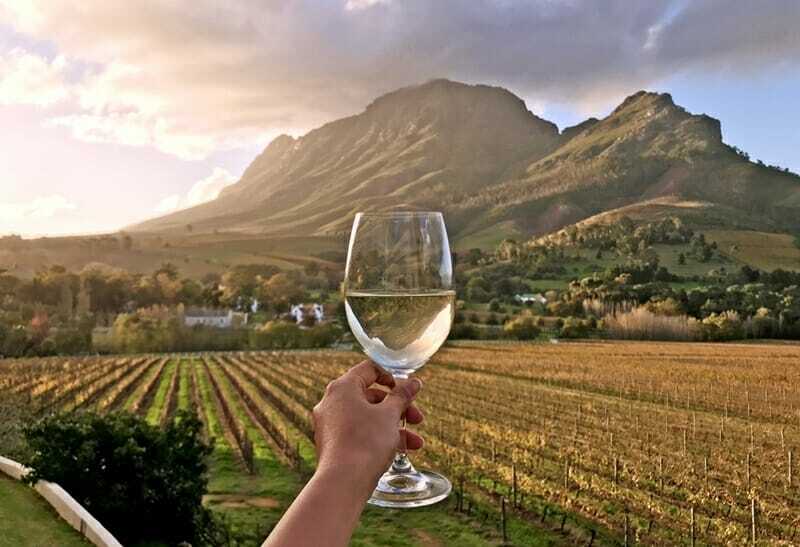 Stellenbosch is a must-visit stop along the Garden Route and is home to dozens of award-winning wineries and vineyards as well as stunning restaurants. It is less than an hour away from Cape Town and is probably the most famous wine region in South Africa – you should plan to spend a minimum of 2 nights in Stellenbosch to go wine tasting and indulge in spa treatments. For a room with a breathtaking view of the vineyards book yourself into Banhoek Lodge – the rooms are beautifully decorated with plenty of natural light, and the view from our private balcony was simply picture-perfect. Click here to check rates and availability at Banhoek Lodge, or click here to check out other highly rated accommodation options in Stellenbosch! 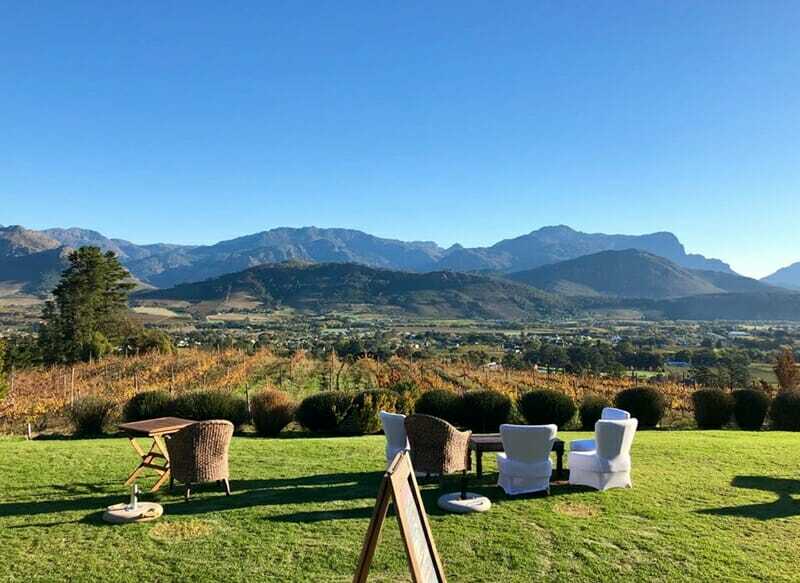 Though it is sometimes overlooked in favor of Stellenbosch, the neighbouring Franschhoek is one of the most underrated South Africa wine regions and should also be added to your list of wine destinations to visit. Franschhoek is a small town in Western Cape, South Africa. It is also known as the culinary capital of the country due to the high concentration of world-class restaurants in the area. Along with its vibrant fine dining scene, Franschhoek is also a popular wine region known for its centuries-old vineyards and Cape Dutch architecture. There are over 50 world class wineries in Franschhoek Valley nestled in majestic mountain scenery, lush vineyards and has a quaint European feel. 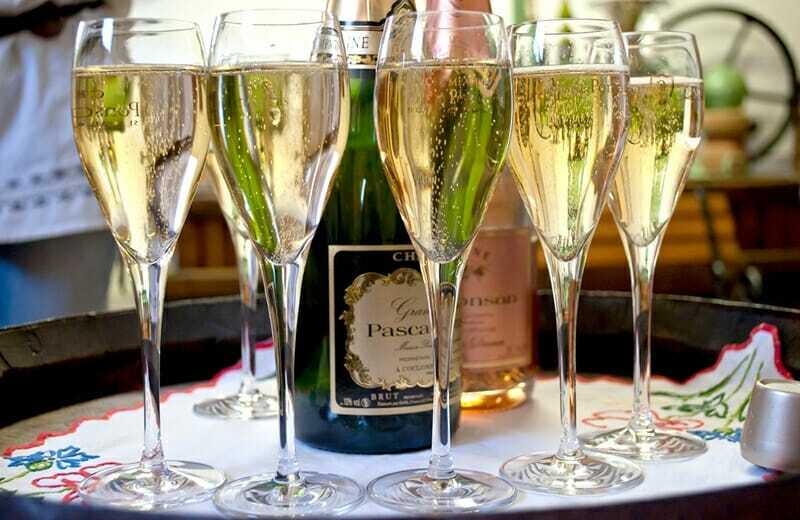 Franschhoek wineries are leading sparkling wine producers in the country with over 20 wineries producing sparkling wines alone. And not just any sparkling wine but the Méthode Cap Classique. Méthode Cap Classique or MCC’s are South African sparkling wines made using the traditional French method. So if you are a fan of bubbly, there are several options in this wine region. You can check out Colman, Stony Brook and Le Lude for the best MCC sparkling wines. Spring to Summer or September to February are the best times to visit Franschhoek. The day is longer and it’s not that cold and you can enjoy a romantic walk in the evening in town. However, if you decide to come during winter, the mountains’ top covered with snow is also great sight to be hold. Click here to check out highly rated accommodation options in Franschhoek! The Niagara region is the original hotbed of the wine industry in Canada. This region, often overshadowed by nearby attractions such as Niagara Falls has had a burgeoning wine industry dating back past 1975. And with three unique vineyard regions such as Twenty Valley, Niagara-on-the-Lake, and the Niagara Peninsula, the Niagara region is creating diverse and delicious wine varieties. But what one thing that is making Niagara such a popular destination for wine tourism is its perfect location for creating Canada’s famous icewines. In fact, icewine is so abundant that they have an entire winter wine festival in Niagara dedicated to the craft. But winter wines aren’t all that are available in Niagara. They are crafting incredible Chardonnay, delicious Pino’s and savory Cabernets. There is nearly as big a variety of wineries in Niagara as there are wines. Popular local wine tours will take visitors on a combination of large vineyards such as Konzelmanns, Trius, and Peller Estates as well as smaller, privately owned vineyards like Small Talk Vineyards, Coyote’s Run, and Vignoble Rancourt. What makes Niagara such a special destination for wine lovers is its proximity to the American border and the popular tourist city of Niagara Falls. You can be wandering along the Niagara gorge in the morning and dining at some of the incredible vineyard restaurants in Niagara-on-the-Lake in the afternoon. Click here to check out highly rated accommodation options in Niagara! 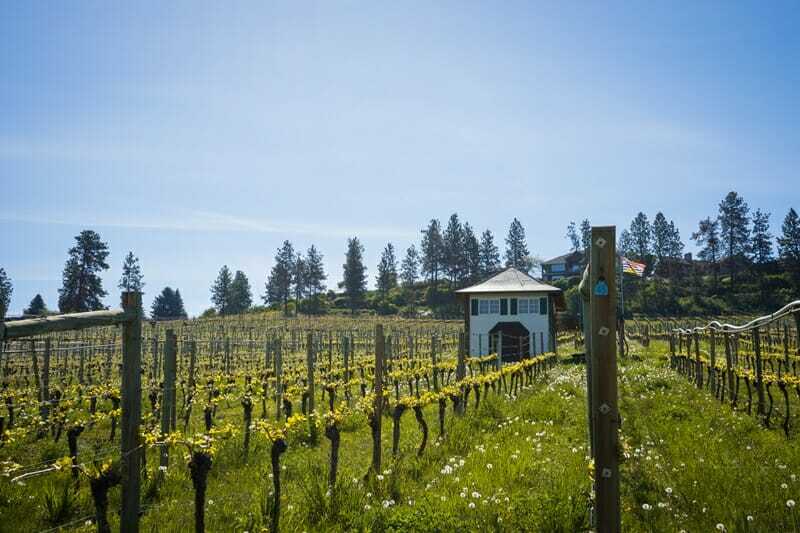 The Okanagan Valley of British Columbia, Canada is home to almost 80% of the province’s vineyards and is made up of family-run boutique to world-class vineyards. Stretched over 250 kilometres and a variety of soil and climates, there’s a wide variety of wines for every taste. I’m fortunate to live in this region yet I’ve visited only about 15 of the wineries so far! My top three wineries from my tours are St. Hubertus (a little bit of Europe in Canada), Indigenous World Winery (respecting Aboriginal history in this region), and Ex Nihilo (name is translated to “out of chaos”). My preference is rosés and bubbly whites, you may have different favourites in this area featuring the reds. The one wine that stood out above the rest for my taste is from St. Hubertus called “Goddess”, a blend of peach and apricot with a bit of citrus. Maybe it’s because they state it tastes just like sunshine trapped in a bottle, and I love sunshine! Just because I’m a designer, I have to say that the artwork on the bottle is wonderful, as well. You can easily spend weeks touring the Okanagan wineries, exploring the vineyards and tasting wines. The best time of year to visit the Okanagan Valley is late spring to early fall (April to September). Keep in mind that the past two years have been smokey on and off from wildfires during July and August so if you have sensitivities, visit April to June or into September. I suggest contacting the Okanagan Wine Festivals Society, or Tourism Kelowna, for suggestions of wineries to visit to give you the most well-rounded tasting. Click here to check out highly rated accommodation options in Okanagan Valley! Kakheti is one of the lesser known wine regions of the world but holds a pretty important title as one the first places to ever produce wine with evidence of wine production as long ago as 8000 years! A trip to Kakheti is an amazing way to learn about the traditional Georgian winemaking methods and sample a variety of both traditional and modern wines. Kakheti is a large region in the east of Georgia and can be visited as a day trip from the capital or for several days, best done by road trip. There are many large vineyards which offer tours, tastings and often have restaurants. But every man and his dog makes wine in Georgia and staying at any homestay or guest house will result in free-flowing wine most evenings accompanied by delicious Georgian food. September is by far the best time to visit the region as it is harvesting season and there are celebrations everywhere. You can also find lots of places to get involved in the harvest or sit back and observe with a glass of the finest Georgian wine! Garmajos! (cheers in Georgian) Read on for what to do in Kakheti. 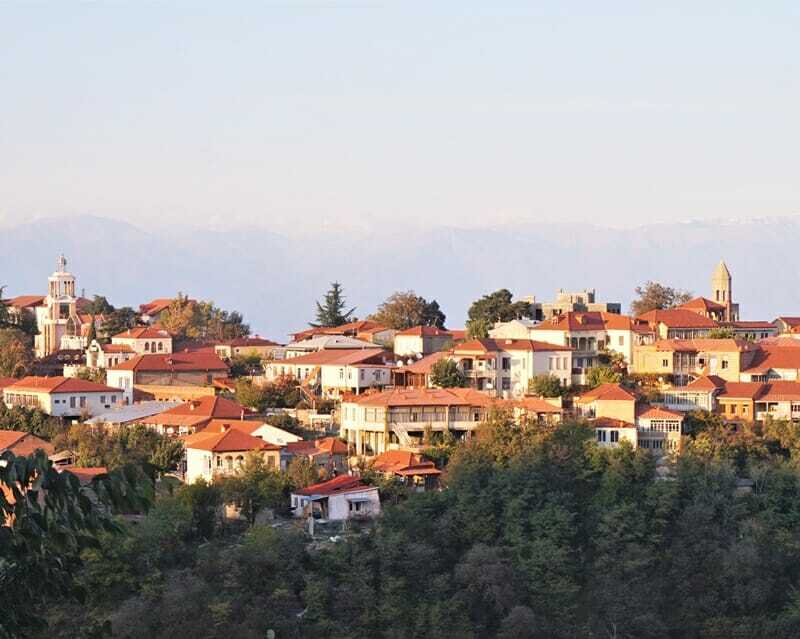 Click here to check out highly rated accommodation options in Kakheti! Italy is famous for its wines – Chianti, Valpolicella, Barolo, Bardolino – with its many wine regions being some of the oldest in the world. 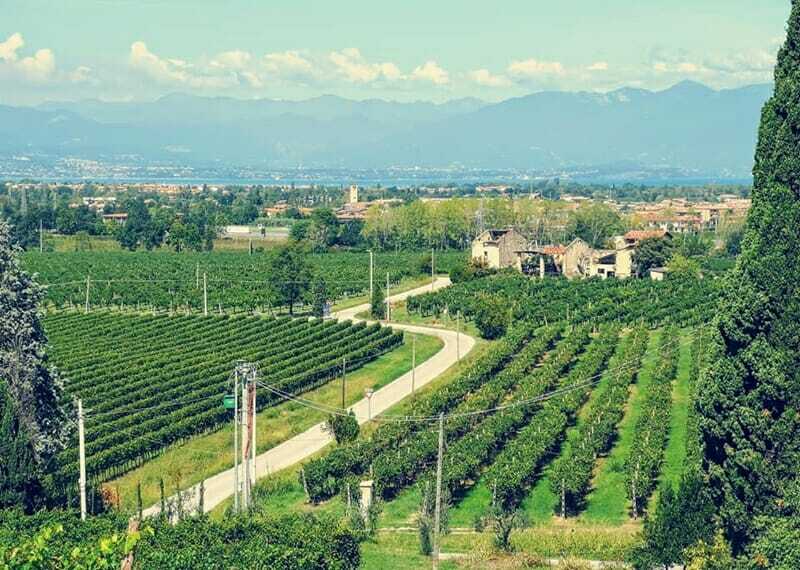 It still seems however, that there are a few Italian wines that are not as well known by the masses outside of Italy, one of which is Lugana, produced in the wineries around Lake Garda close to Sirmione. Lugana, is a dry white wine, often overshadowed by its closed rival Soave, but is a great summery wine that mixes well with seafood, pasta or even on its own and can be found in any restaurant or bar around Lake Garda for a very reasonable price. Up until around 20 years ago, Lugana was not really known about outside the country and therefore with its popularity growing the local wineries have begun to open their doors to wine tasting tours during the summer months, with many remaining open all day during July and August. Three very popular wineries to visit are Zenato (an iconic winery producing some of the best and most revived wines in the country), Ca Lojera (also a working farm, which means you can enjoy local produce whilst sipping on a cold glass of Lugana) and Le Morette (this vineyard has stunning buildings and sweeping vines taking up the view back across to the lake). Click here to check out highly rated accommodation options around Lake Garda! The Tuscany wine region is one of the most famous in the world and one of the best wine regions in Italy. Although not the highest producing region in Italy, Tuscany’s idyllic rolling hills, trademark cypress trees, and picturesque villas have long made it a picture-perfect travel destination. Located in central Italy north of Rome, it’s a mecca for any wine-lover. The region comprises about 8900 square miles, and almost every inch is covered with vineyards or olive trees. Hundreds of wineries – from small, family-owned operations to large, mass-producing ones – are scattered throughout the region. Antinori is perhaps Tuscany’s most famous winery. The winery boasts a brand new, modern tasting room perched on the side of a hill, but don’t let that fool you. This family has been making wine since 1385. Another winery to visit is Barone Ricasoli, which claims to be the oldest winery in all of Italy, as well as the birthplace of Chianti wine. My personal favorite is a small winery in Montalcino called Solaria. In an industry dominated by men, Solaria is entirely female run. Patrizia, the winemaker, takes after her grandfather, one of the creators of Brunello. But for all those wineries, there are only a handful of grapes that are grown here. The most famous is the Sangiovese. Chianti and Brunello di Montalcino are both made with the Sangiovese. Super Tuscans have also become popular in the past few decades. These wines are usually a Sangiovese/Cabernet Sauvignon blend. Tuscany’s famous sunny, warm weather shows off in late spring and early summer, which also happens to be the height of its tourist season. But if you visit in the fall, you can witness the grape harvest. Read on for a recommended Tuscany itinerary. You can visit the Tuscan wine region easily from the cities of Florence or Siena. 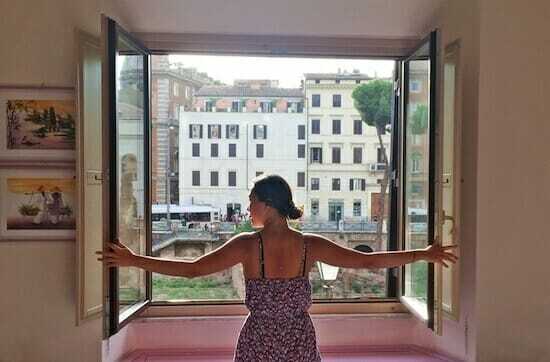 Click here for some highly rated accommodation options in Tuscany! Fruska Gora is part of the Vojvodina region of Serbia to the north of Belgrade. 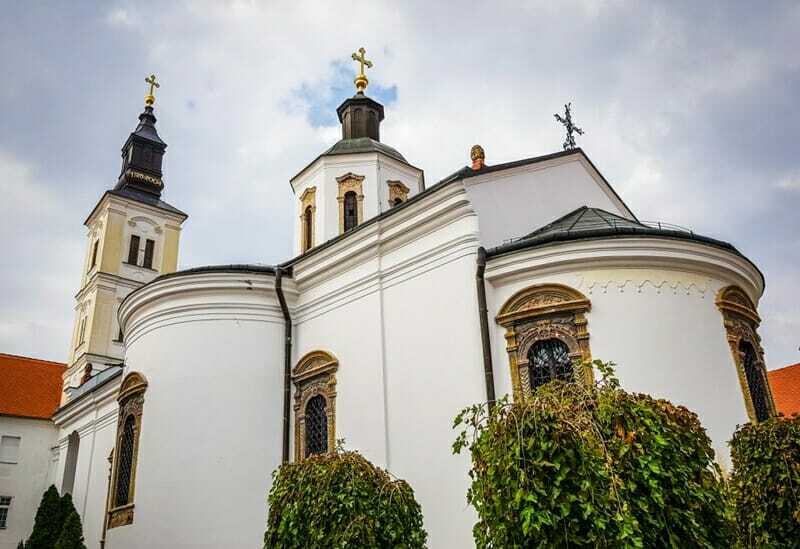 Famous for two things, wineries and monasteries, Fruska Gora is a charming place to explore for a few days, either on its own or as part of a larger trip around Serbia. In Fruska Gora, they make a variety of wines, but they’re most famous for their bermet. It’s a specialty that’s been a closely guarded secret of the region for hundred of years. While it’s not as popular internationally today as it once was, it was so popular at the beginning of the twentieth century that they served it on the Titanic. The families in Sremski Karlovi, a small village in the region, have been making this wine for hundred of years and are proud when tourists realize how special it is too. Wine in this region is priced well. A bottle of bermet purchased at a winery is about ten euros. During my trip to Fruska Gora, I visited Probus winery, which is known for its beret. At the end of the tasting, our hostess and winery owner Vera poured us some of her homemade rakija as a special treat. The weather in Serbia is pleasant from April through the middle of October, so you can visit for most of the year. However, there are wine festivals held annually in September. Spread over 800 hectares, the Lavaux Vineyards (also referred to as the Swiss Wine Route) extend from St-Saphorin to Lutry in Switzerland. 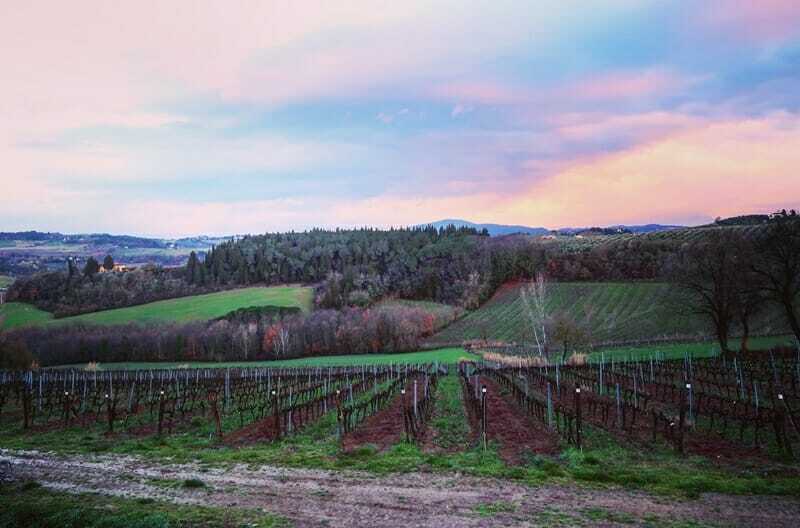 The hillside vineyard terraces have a history dating back to the 12th century when vines were grown in the region with the help and support of the Cistercian monks who lived there. Along with support from the then Bishops of Lausanne, these vineyard terraces were built in the 1330s and since then with continuous adaptation to the natural landscapes, the vineyards have become an integral part of the area’s economy. 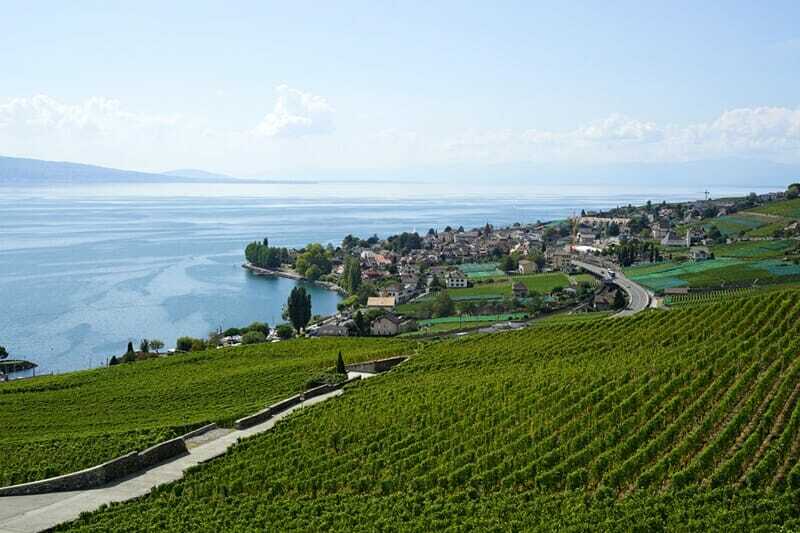 Since 2007 the Lavaux vineyards have been protected by UNESCO. Because of the size of the vineyard and the microclimate in the region, the wines are produced in small, artisanal batches with virtually everything being consumed in the local market. That is one reason you may not see these Swiss wines in your local wine shops. 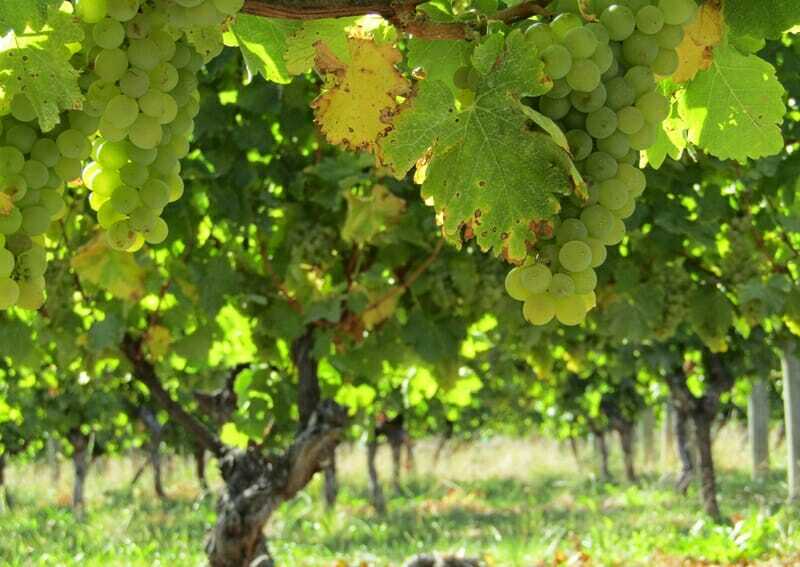 The most popular of the wines from this region is the Chasselas, a very fresh and delicate white wine. It is not very acidic and not too intense either – just subtle and pleasant. Other popular wines are the reds by Pinot Noir and Gamay. While there are numerous wine estates in the Lavaux region that are open to visitors, one that comes recommended is the Clos de la République estate. It is the oldest family business in Switzerland (dating back to the 16th century) and offers one of the most beautiful views of the terraced vineyards of Lavaux. The large selection of wines they offer is another reason to visit them while in Lavaux. Getting to Lavaux is very easy – just follow the lakeside road from Lausanne to Vevey. There are parking facilities at many places along the route. You can also get to Lavaux by train, boat, bus or the funicular. Click here to check out highly rated accommodation options in Lavaux! Hardly known to the world, Parteolla, in Sardinia (Italy) is one of the most underrated Italian wine regions. Located at a mere 20 minutes drive from Sardinia’s capital, Cagliari, the Parteolla region makes for a great day trip and visiting is one of the nicest things to do in Sardinia. Picture hilly landscapes, countryside romanic churches, endless fields that change color depending on the season, and three villages (Dolianova, Donori and Serdiana) where life still goes about slowly. No more than a total of 15000 people live in the Parteolla region across the three villages. 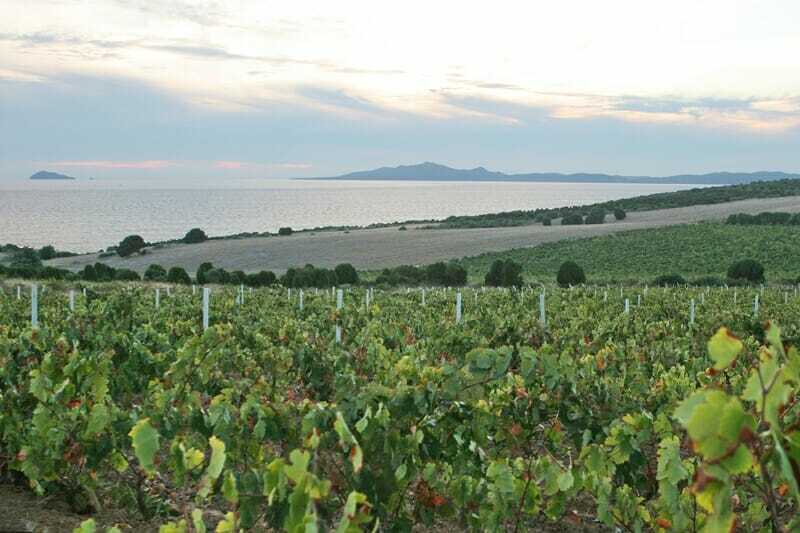 Yet, there are several vineyards (only 5 in Serdiana), all producing some fabulous wines. The best winery in the region is Argiolas, located in Serdiana. Established more than 100 years ago, the Argiolas family makes some of the best wines in the region, that nowadays get exported all over the world. Yet, the winery has retained a boutique character and the quality of the wines hasn’t stopped growing. 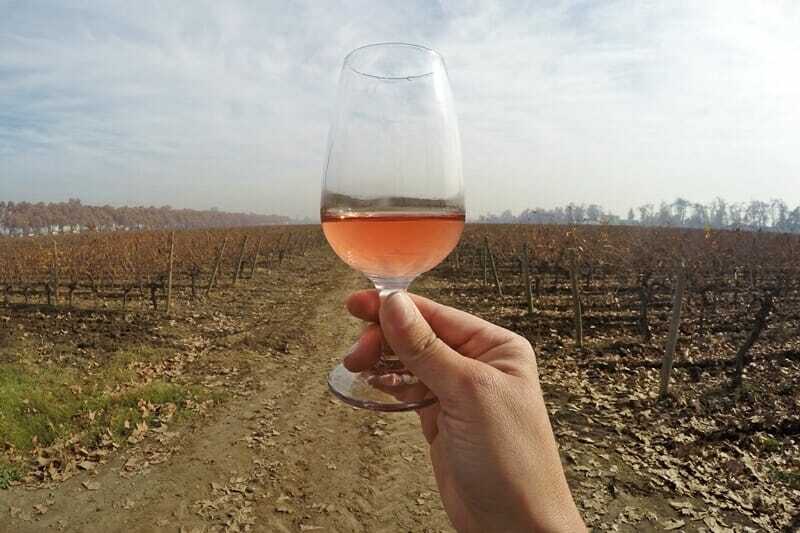 Wine tours can be booked online, and last a few hours during which visitors will be taken to the vineyards, learn the process of wine making, and can try several wines. It’s also possible to have a delicious local meal. Other wineries offer tours as well. The best times to visit are May, during “Cantine Aperte” – when the wineries are all open, for an all day wine tasting celebration with food, music and traditions; or September, during the harvest. Click here to check out highly rated accommodation options in Cagliari! Douro Valley is one of the best Portugal wine regions and produces some of the finest, affordable and underrated wines. While the area is most famous for Port Wines, over the last few decades, exceptional table wines have emerged. Today, wines from the Douro Valley are evenly split between Port and Douro table wines. An exceptionally beautiful and historic wine region, Douro Valley is the first demarcated and regulated wine region in the world. The region is divided into three sub-regions, Baixo Corgo, Cima Corgo, and Douro Superior, following the twists and turns of the Douro River. 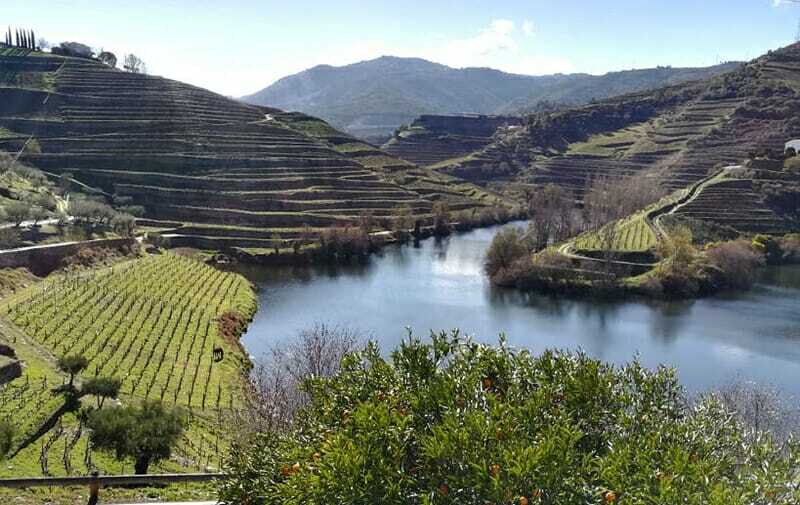 The climate in the Douro Valley is described by locals as “nine months of winter, three months of hell.” Temperatures can soar above 40°C (104 °F) during the summer months, sometimes even hitting 50°C (122 °F). The best time to visit the region is when the vineyards come alive during Harvest Season, usually in mid-September. Springtime between April to June is a great time to enjoy walking or cycling in the Douro Valley. Late October into November, when the Fall colors are at their best, is a photographers feast. Three great wineries not to be missed in the Douro Valley wineries are Quinta Nova, one of the oldest (established 1725) and most impressive wineries. Casa Ferreirinha, run by Dona Antónia Ferreira, a woman ahead of her time, produces some of the best wines in the Douro. And, Quinta do Tedo, a boutique winery and the first organic vineyard in the Douro Valley. Visit the Douro Valley from Porto by train or car – click here to see current rates at hotels in Pinhão which is close to several major wineries! Champagne is one of the most famous names in wine – and a trip to the home of bubbly is worth celebrating. The Champagne wine region is located in north-east France, less than an hour by train from Paris which makes it an easy day or weekend trip. Champagne’s capital is the historic city of Reims, which has been made a UNESCO World Heritage site for its Champagne-making heritage. This city is built on Champagne – even the streets run on top of miles of cellars cut into its chalk rocks. Reims is home to some of the biggest names in bubbly, like Veuve Cliquot, Mumm and Pommery. You can take a tour of their cellars, find out how Champagne is made and try a glass or two for around €20. Reims also has an impressive cathedral, Roman gate and museums to explore, or grab a glass and watch the world go by from the central Place Drouet d’Erlon. Épernay is the other main centre for Champagne growing, a small town surrounded by miles of vines that’s especially pretty around the autumn harvest season. Épernay’s Avenue de Champagne is a row of grand buildings housing one Champagne house after another, including Moët and Chandon. But one of the best things to do in Champagne is get out and explore the surrounding villages – including the appropriately named Bouzy – where you’ll find hundreds of lesser-known winemakers, creating delicious Champagnes for a fraction of the price of the big names. Hire a bike or join a small minibus tour, or book an Épernay ‘greeter’ to show you around all their favourite spots. Click here to check out highly rated accommodation options in Champagne! Chile produces some of the best wines in the world and the majority of those wines come from the valley just an hour away from Santiago. The Maipo Valley is one of the oldest Chilean wine regions and some might argue that it’s the birthplace of Chile’s wine production. It is arguably the best-known wine regions of Chile, producing some of the countries finest wines. You can find Concha y Toro’s main house, the largest wine producer in the world and also Pérez Cruz, a smaller boutique family owned winery. In total, there are 36 wineries open for enotourism. There are several ways to visit the valley and its wineries. If you’re up for it and have a designated driver, drive through the “Ruta del Vino” (Wine Route) and you can explore the area on your own with no pressure or other people around. There are also plenty of companies that offer wine tours for all types of budgets. Most basic wine tours start at around 50 USD and from there depends on what you want; bike tours, horseback tour, premium wines, walking tours, it goes on and on. You can visit the wineries all year around but the most exciting time is between March and April because winemakers are celebrating their harvest with the “Fiestas de la Vendimia”. It’s basically a huge party with live music, good food, and of course lots of wine. TIP: Always reserve with at least 1 day’s notice if you want to visit a winery. Concha y Toro is probably the only winery that you can just show up and grab the next available tour as they offer tours every 30 minutes. Same goes with Lunch. You must make reservations if you want to eat in the wineries. Click here to check out highly rated accommodation options in Maipo Valley! Wine is the official beverage of Argentina. So you’d be doing your cultural duty by visiting the wine epicenter of the country, Mendoza, which is located at the foot of the Andes Mountains. The climate is arid and the landscape is a desert, dotted with green oases of perfectly manicured vines, fed by very controlled irrigation systems. 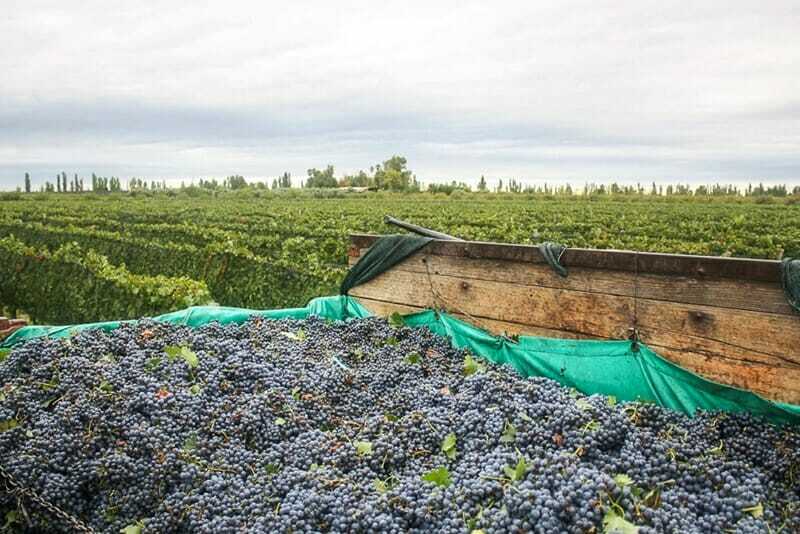 Mendoza is a wonderful destination year-round, but if you can time your visit for the harvest in March you’re in for a great time, with a festival in the city and activity bustling on the vineyards. Malbec is the main varietal grown in Mendoza. 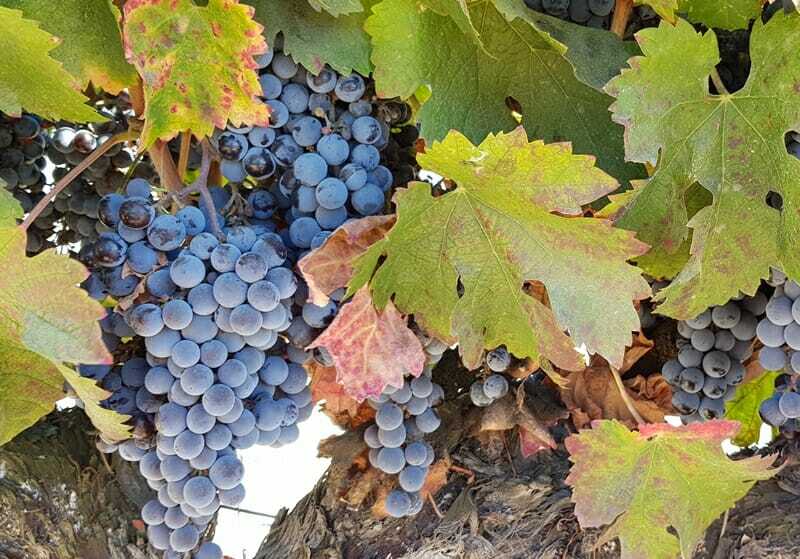 After most of the Malbec vines died from the “Great Wine Blight” in the 1800’s in France, Malbec failed to thrive nearly anywhere it was planted until it was brought to Argentina. And in recent decades, the grape has become emblematic of Argentine wines. There are three main wine regions in Mendoza: Maipu, Lujan de Cuyo and the Uco Valley. The most beautiful of all is the Uco Valley an hour south of Mendoza city proper. The higher altitudes and dry climate produce the highest quality wines in the country. The wineries here also offer stunning vistas of the Andes, that seem close enough to reach out and touch. Some of the best wineries to visit in Mendoza are here: Fournier, Bodega la Azul, and SuperUco are only a few of my favorites. Click here to check out highly rated accommodation options along the wine route in Mendoza! Long considered the United States’ most famous wine region, it wasn’t until 1976 when a California Chardonnay won the ‘Judgement of Paris’ award – defeating some of the world’s most prestigious wines – which firmly put California on the global wine map. Napa County is made up of too many towns to mention, but popular destinations within the region which people may recognize include Napa Valley, Sonoma, Calistoga (where that 1st winning wine was produced) and Santa Rosa. There are a number of wine varieties in Napa, but the most common grapes are Cabernet Sauvignon and Chardonnay. Ultimately, it will depend on the winery as to what they themselves are best known for producing. If you are visiting this area there are a number of places worth checking out whether you visit this area for wine or not – particularly Napa Valley’s Historic Riverwalk and the Giant Chair; and Sonoma’s town square – my favourite place in the whole region, it’s so picturesque and charming. But if you are looking for amazing wine, vineyards worth stopping at include Napa’s Valley’s Silver Oak and Beringer, and Sonoma’s Scribe, Hamell and Three Sticks Wineries. 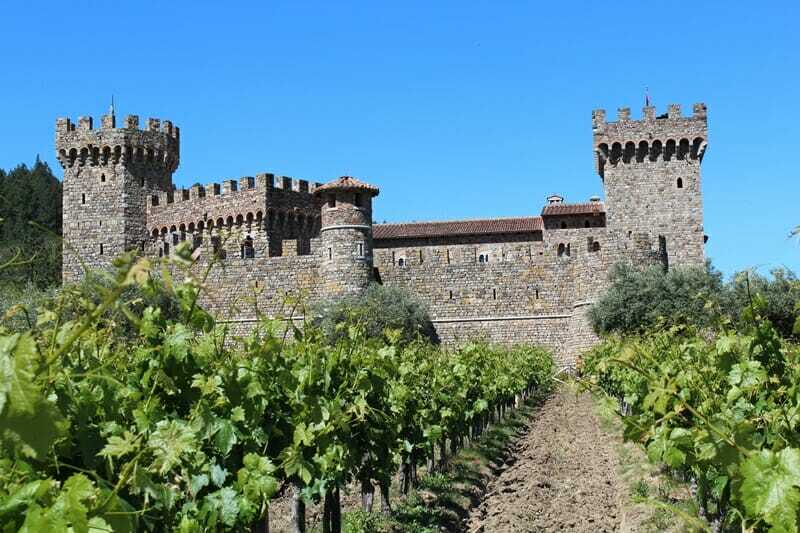 But, if you really want a step back in time, a must stop is the Castello Di Amorosa – a 13th Century Tuscan castle – which was built by hand over a 20 year period using materials shipped over from Italy. The Castello offers tastings, winery tours and food and wine pairing experiences as well. Click here to check out highly rated accommodation options in the Napa Valley Wine Country! Whilst Napa County is often the first place people think of when considering the North American wine scene, there is a true hidden gem within Santa Barbara Country that is truly worth checking out. Made famous by the film, ‘Sideways’ starring Paul Giamatti and Thomas Haden Church, the towns of Buellton, Solvang, Los Olivos and Santa Ynez are some of the best wine towns in California. If you love the film, or just love exploring beautiful places any of the below are stops you will want to check out. If you’re after something sweet, the Australian winery, Kalyra is your best bet. Us Aussies love our Moscato style varieties back home, so if you also love dessert wines – or love sipping a wine on a deck overlooking the hills beyond, Kalyra is all you need. Another favourite is the Fess Parker winery. Fess Parker is known for playing Disney’s version of Davy Crockett in the 1950s and as Daniel Boone in the 1960s. Famous for Pinot and Chardonnay, you can’t go wrong. If you have all day, definitely also aim to stop by Andrew Murray, Hitching Post II, Foxen, Firestone and if you need a nice lunch stop – The Wine Merchant Café in Los Olivos is perfection. If you need a sweet treat – Solvang Restaurant is the place to go for some Aebleskiver (fried Danish donuts). Did this article give you some ideas for your next wine vacation? Comment below and add on some other must-visit wine regions in the world! I joined Vinetrekker for a full-day tour of Yarra Valley as a guest; however, no compensation was received for the review, and as always, the opinions on Yogawinetravel.com are (and always will be) my own! I only recommend products, services and hotels that I have had positive personal experiences with. This article contains affiliate links. If you choose to book using these links, I will earn a small commission at no extra cost to you. Thank you for supporting my website by using these links!